Video series with three corporate directors on the board's role in promoting ethical behavior. Video interviews with justices from the Delaware Court of Chancery and Supreme Court. Deceitful Spammer or Marketing Genius? Is impersonation a viable marketing approach? The Dhaka Factory Fire: Who Is Responsible? Is the Bangladeshi government or the factory owner more at fault for a fire that killed 112 people? Does Business Ethics Teaching Affect Practice? 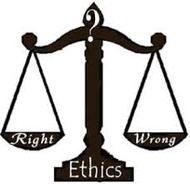 Transcript of a panel discussion on the question, Has business ethics teaching and research had any discernible impact on business practice in the US and around the world?"" Advice for U.S. businesses establishing themselves in China. When companies in China seem too good to be true. A company must decide whether to order cheap shirts from China or expensive shirts from a local eco-friendly manufacturer. A three-part video conversation on corporate governance. Doing the right thing brings praise. A company founder talks about employee loyalty in boom times. An update on how organizations can set up mechanisms to identify wrongdoing.